Blueberry muffins are the way to a little boy’s heart, of that I’m sure. When I made my boys a rare treat of baked goodies for brunch, my oldest proclaimed “these are better than pancakes!” These blueberry buttermilk muffins are super simple to throw together, are grain and gluten-free, and are yummy to boot! After taking our boys to an amusement park this past weekend and letting them indulge in junky food (we even went all out on a “volcano” ice cream and chocolate cake dessert at a fun, kid-pleasing, majorly over-priced, animal-themed restaurant to let our oldest feel extra special as we celebrated his ninth birthday), I’m glad healthy food still pleases them. Did I mention I got super sick after forcing my big boys to ride a ride with me that I was sure I would love? I’ve never gotten sick on amusement park rides before, but I think I might be getting old… I rode a few rides before declaring surrender. My poor boys were just getting warmed up about the time I couldn’t hang anymore. I’m pretty sure I had an “amusement park hangover” the next day… which is definitely a thing. I’ve even been sore like I worked out. Which we all know definitely didn’t happen. Ok, enough moaning, groaning, and lamenting about aging. There’s still life in me yet! 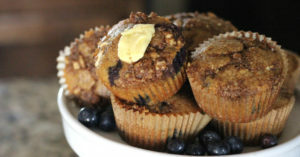 And I will definitely live another day to make these blueberry buttermilk muffins again. 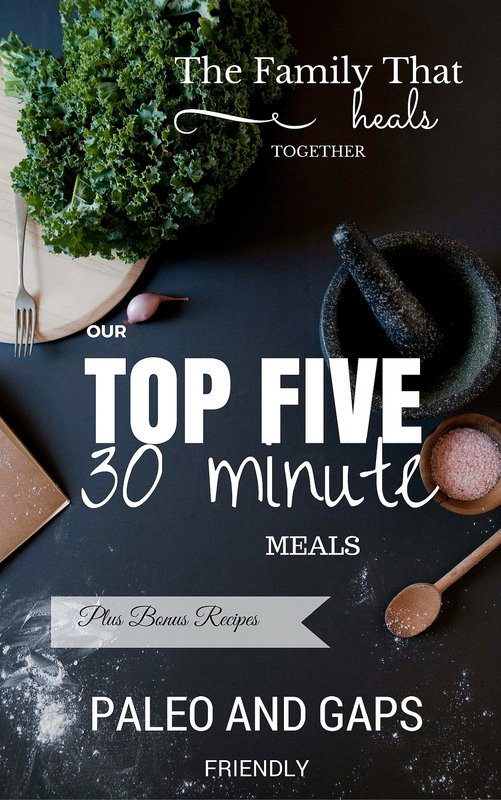 If you want to try them out, grab the recipe below. 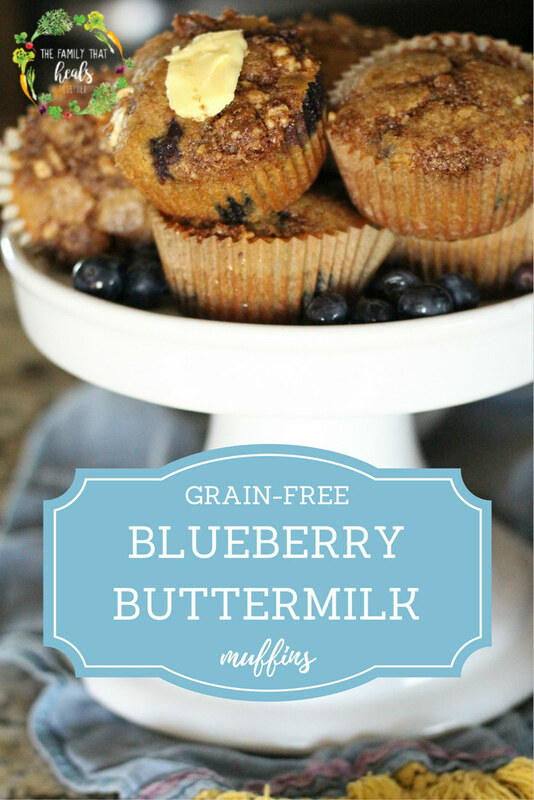 Make these blueberry buttermilk muffins for the little one in your life. Line muffin tin with unbleached, nonstick liners. Combine the flours, 1/2 cup coconut sugar, baking soda, salt, and 1/2 tsp. cinnamon and mix well. Using a hand mixer, mix eggs, melted palm shortening, buttermilk, and vanilla. Add wet ingredients to dry ingredients and mix well with a hand mixer. Mix in blueberries by hand. Fill each muffin liner with heaping 1/4 cup scoop of muffin batter. Make streusel: using a fork, combine butter, remaining coconut sugar, chopped nuts, and remaining cinnamon to make a course, crumbly topping. Use your fingers to sprinkle the streusel topping evenly over the muffins. Bake for 20 minutes before removing from oven to cool. Do you have the carb info on these? And do you deliver? Lol!!! I used to sell goodies like this at the farmers market, but that was years ago! I don’t have macros for my recipes; I’m sorry.